Home Ampersand Yuri Herrera’s The Transmigration of Bodies shortlisted for the Dublin Literary Award! 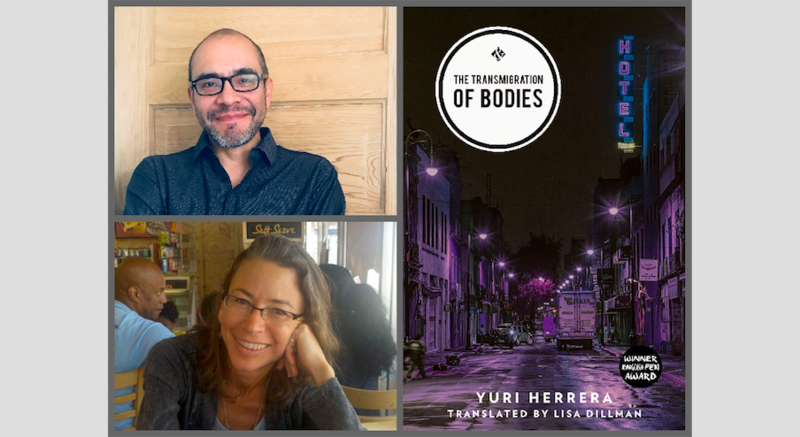 Yuri Herrera’s The Transmigration of Bodies shortlisted for the Dublin Literary Award! We were delighted to hear that Yuri Herrera’s The Transmigration of Bodies (tr. Lisa Dillman) has been shortlisted for the International Dublin Literary Award, with its generous prize pot of €100,000, which is divided equally between author and translator. It’s an extraordinary prize, in that the nominations are made by librarians from all over the world. This (very) longlist of 150 books is then whittled down to a shortlist of ten by a team of expert judges. Every year sees a great mix of titles originally written in English, and titles in translation, and this year, for the first time, books by women outnumber books by men on the shortlist. There’s also a good representation of books published by indie presses. Hooray! For more information, and the full shortlist, visit the Dublin Literary Award website.